Pet mice are social and active critters that need a variety of toys to chew on, as well as items that provide opportunities for exercise. A good quality wheel will provide lots of exercise (get a quiet wheel as they love to run at night). A variety of toys to climb and chew on will also help keep pet mice active and healthy. Though I've never used one, this brand of wheel is touted as one of the quietest wheels on the market. Can be used as a stand-alone wheel or attached to a wire cage, and the solid surface makes it safer than a wire wheel. 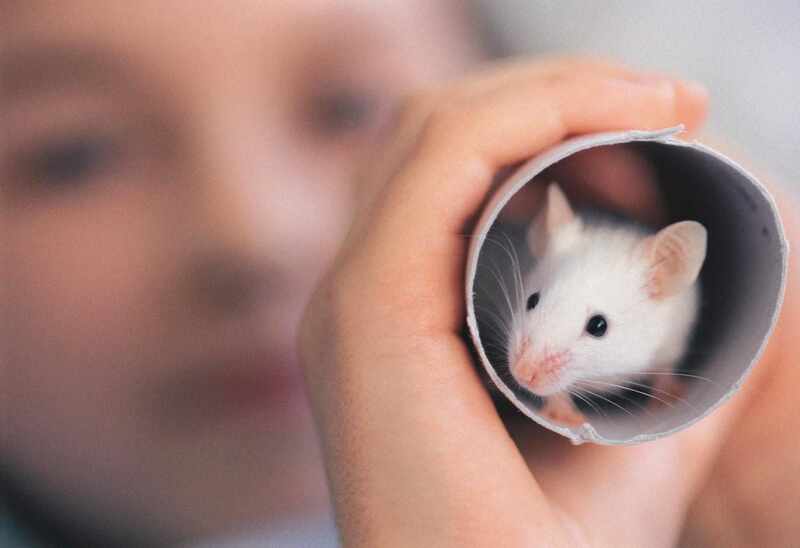 Choose the regular size to be on the safe size for mice (the mini is probably okay as long as you make sure your mice do not have to arch their backs to use the wheel). This fun little ball comes in multiple sizes and the smallest ones are fine for mice. May not last long, but this 3-inch ball with access holes in the sides is made from natural grass fibers hand-woven onto a sturdy support frame. Likely to be a hit for both playing in and chewing on. While toilet paper/paper towel rolls can be used for toys, some experts have expressed concern over the potential toxicity of adhesives used in these products. These Chewbular tubes are a great alternative - made of cardboard colored with safe vegetable dyes, these are safe and sure to be a hit! They come in a variety of sizes -- the smallest one is fine for mice. I'd toss the sample of cotton bedding material though. The fibers in this kind of bedding can get caught up on and wound around little mice toes. Natural wicker products can make a good diversion for mice and are great for chewing. They might not last long but are generally pretty economical. The mini size (comes in a pack of 24) would be great for mice, but even the 3-inch size (in a 6 pack) is good for mice to push around (and gnaw on). This toy is sure to keep pet mice occupied for a while - lots of wood for safe chewing and an almond in the center as a reward for all that chewing. The small version is good for mice. The mini one is fine for mice (and the large one might be overwhelming!). These pieces of natural wood are colored with vegetable dyes and each pack has a variety of geometric shapes. The pieces can be joined together in various configuration to make your own little mouse play structures which are good for climbing and chewing. Get the large pack with more pieces for greater flexibility. This cute little house will eventually get chewed, probably, but your mice will probably enjoy it for hiding, sleeping, playing, and chewing. Made of wood, this is a two story house with a ramp to the second level and is very cute. About 6 inches high, and 4 inches wide and nearly 7 inches long. This is a​ cute toy, which is essentially a hanging rod with a bell on the end (and a cute plastic face on top). You can string a variety of toys on the rod for chewing fun. Technically you could put food on it too, but most food large enough to be skewered on this is probably too big of a portion for mice (you could perhaps try Cheerios). However, you can swap out the chew toys for variety (a couple of wood blocks are included with the basic toy, but the deluxe package gives you a good variety right off the bat).